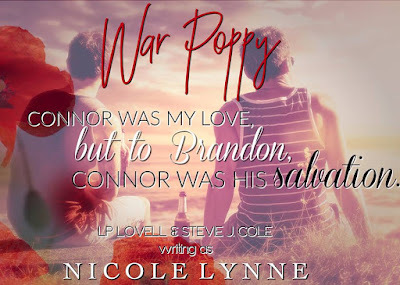 PoppyLove and war. Two words that should have little association, but to me the two go hand in hand. Both are a tragedy. They rip you open and spit you out. 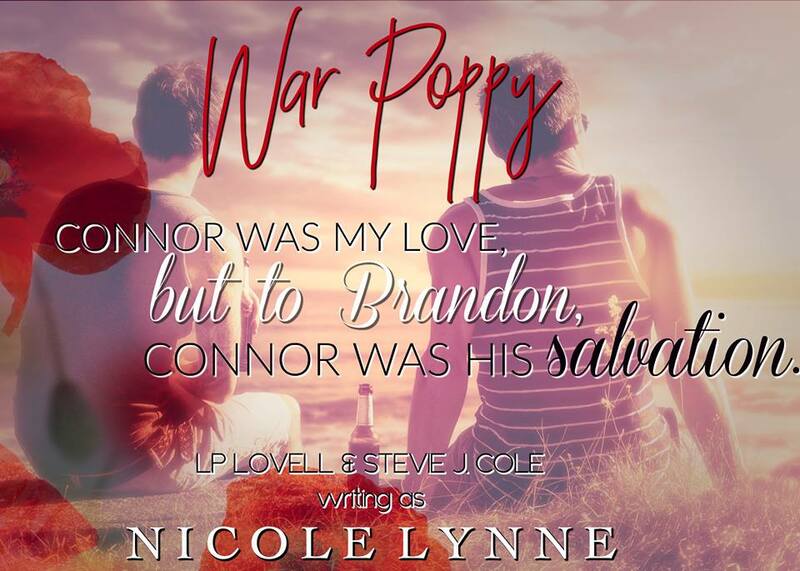 The war killed my husband, Connor, shattered my will to live, and took my best friend. Brandon may not have physically died in that war, but his soul did. And now we're left to pick up the wreckage. Expected to move on when all that is left is the ruins of a life we once had. Brandon War. It took everything from me, even myself. When you're only able to exist, death seems like a blessing. Pain...a welcome distraction. I ran from everything associated with my past, and then she found me, fighting, drowning myself in whisky, trying to forget. She reminds me of Connor, of what I've lost—what we've lost. In the midst of destruction, she's a salvation I don't deserve. I shouldn't love him. I shouldn't love her. Love is a war we never should have fought. Stevie J. Cole lives deep in the woods of Alabama with her husband and two precious daughters. She studied Epidemiology concentrating on cancer research but has always had a passion for writing. Some of her stories will strip you bare, some will give you nightmares, but the one thing she can promise is that she will always give you stories that make you feel.Raw. Gritty. Love. Because sometimes characters need to be flawed.P.S. Stevie's greatest fear is the impending zombie apocalypse. Think about it: swarming armies of decaying, oozing corpses stumbling around with clicking teeth, trying to eat your face. Nothing about that is good. NOTHING! I'm stunned. Shocked. Heartbroken and a complete mess. If you are looking for a lighthearted romance this isn't for you. But if your looking for a love so deep, so messed up that your heart physically hurts then this is your book. 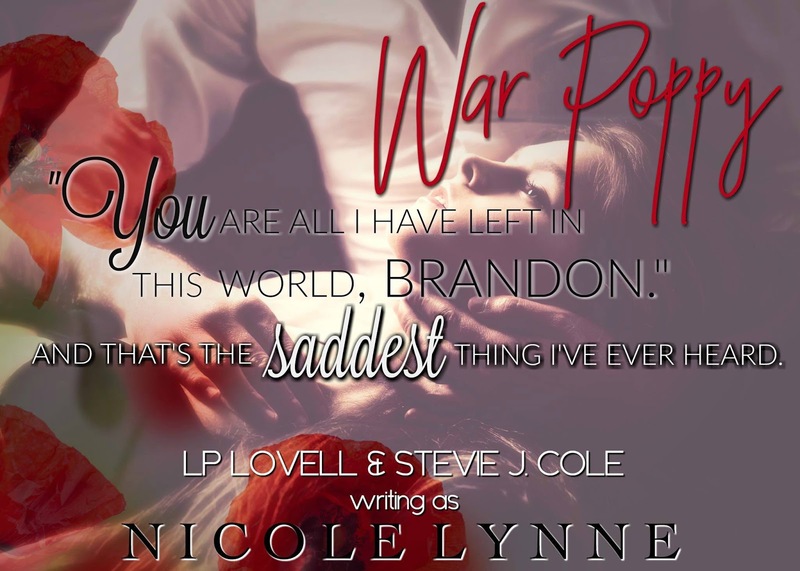 When Poppy loses her husband to a horrible war the only thing she needs is her best friend. Their best friend and the one man she has loved her whole life. Brandon looked into the dead eyes of his best friend and ran. Ran from everyone and everything. When the girl he loves finally finds him he's a totally different person. Battling his mind he is damaged and only she can set him free. I can't stop crying. Why ladies? Why? I'm heartbroken. Your writing has gutted me. Every single word was absolutely fantastic. Yes I'm a blubbering mess but loved it!